How much you would fork over for a like-new E39 M-car? The third generation BMW M5 is arguably the best performance sports sedan ever produced—just ask all of the automakers trying to match its magic in the 15 years since its release. It's no wonder why, then, that collectors are working to nab up the best examples possible for the future. 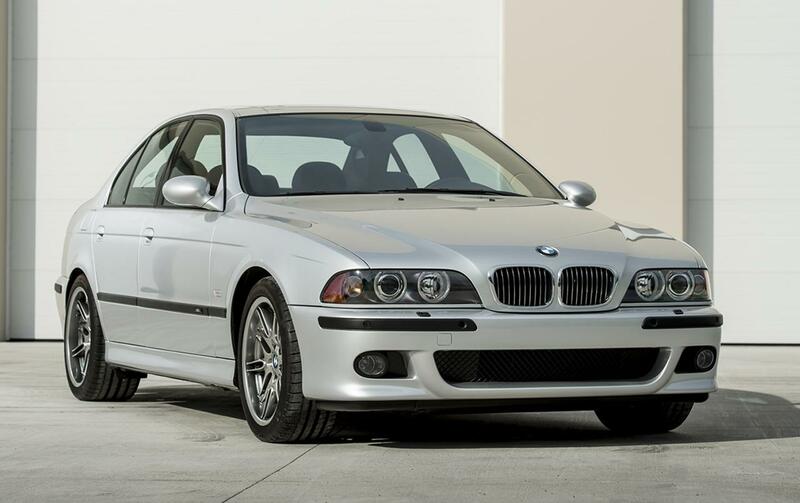 When this like-new 2002 M5 crossed the auction block at Gooding & Company during Monterey Car Week, it sold for more than a new M5; with less than 500 miles on the clock, this darling in silver isn't even past its break-in period. Luckily so, given the fact that its official hammer price landed at $176,000. For background, the E39 uses a 4.9-liter eight-cylinder engine under its hood. The naturally-aspirated V-8 makes just shy of 400 horsepower, all of which are sent to the rear wheels; no fancy forced induction or complicated xDrive all-wheel-drive system like the latest F90 generation has. It might be down more than 200 hp compared to today's model but it is paired exclusively with a six-speed manual transmission. The museum condition Bimmer was preserved by its owner for 16 years before cashing out on his investment. So how much did he recoup? When new, a 2002 M5 started at $69,900, not taking taxes into account or other applicable fees. Adjusted for inflation, that translates to roughly $99,000 in today's money. When the gavel went down, the car in question sold for $160,000 plus a 10 percent buyer's commission. That's a strong profit in less than two decades. It's uncertain how its new owner plans to make use of their pricey Bimmer. Considering they paid $70,000 more than a base 2019 M5, it will likely continue living out the rest of its days in storage until it goes up for auction for another six-figure sum. Or maybe it will be used to chauffeur Madonna. Forget Build-A-Bear. It's time to Build-A-Bavarian Sports Sedan. Would you rather have a 16-year-old M5 or a brand new i8? An independent test shows BMW's super sedan might be flirting with 700 horsepower. The E39 M5 was one of BMW's most formidable road cars, and it doesn't take a genius to figure out why.